Lanzini-can we take any positives from the situation? Just about the worst possible news we could receive right now… Lanzini had damaged his cruciate ligaments and will most likely miss most of next season. I’d first like to say that my thoughts go out to him as I’m sure he was desperate to feature in the World Cup. I actually think (based on previous Argentinian friendlies) that he would have started on the right hand side of a 4-2-3-1 for Sampaoli, but I guess we’ll never know now. 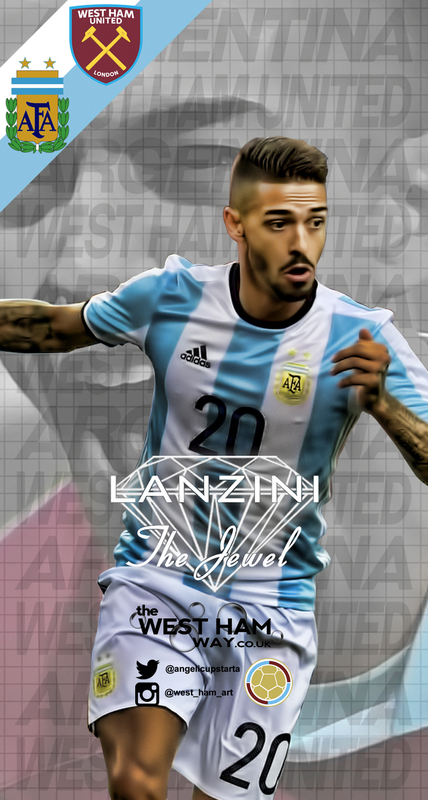 Back to West Ham, Lanzini is the sort of player that could have really thrived under Pellegrini and many fans were excited to see him perform next season. The situation seems incredibly dire, so can we find any positives from this? I personally can only think of 3 but any light shed on this situation can only help. The first positive that springs to mind is that this will really force the boards hand in the transfer market, somebody has to fill the gaping hole in our midfield where Lanzini has gone. It’s worth mentioning that a 3 month injury to Cresswell 2 years ago helped lead to the signing of Masuaku which seems like a rather large positive now. Pellegrini’s most recent comments about wanting the board to invest in a high profile player hold even more value now and I do think the board will invest well during this summer transfer window. A fair few will probably disagree with me on this but they literally have to otherwise Pellegrini won’t have enough quality at his disposal. The second positive is that this injury gives Pellegrini more options formation wise. I’ve only ever seen Lanzini perform for us as an attacking midfielder or as a second striker behind Arnautovic, he’s never been influential enough on the wing in my opinion. Playing an attacking midfielder would lead to the exclusion of a 4-4-2 formation, which is what Pellegrini used frequently during his title winning reign at Manchester City. This injury could see the combination of Arnautovic and Hernandez upfront (provided the Mexican chooses to stay put) which is what fans cried for under Moyes. I can’t personally see where Lanzini would fit in a 4-4-2 so the injury gives Pellegrini more options on that front. The final positive is that Lanzini will remain a Hammer. Doubts about his knee long term will undoubtedly put off big clubs from splashing out on him which means he should hopefully stay for a while. This news is obviously devastating, but let’s try to find some positivity going forwards! COYI!